* Made scroll mouse size change permanent - so no longer resets after a refresh or re-starting Rainmeter. A futuristic LED look time piece where the rings represent Hours, Minutes and Seconds from the outside in, the minutes are in 5-minute 'chunks'. Hover the mouse over to see the date & time in text. 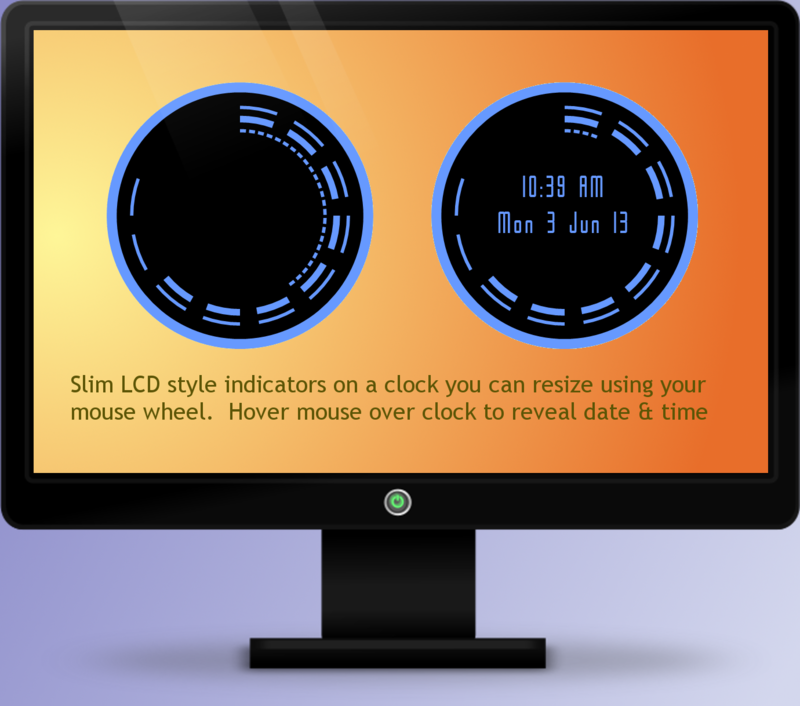 Scroll wheel mouse to re-size the clock to you preference. The default size is controlled by the Radius variable and you can change the two colours to whatever you like by right clicking skin and selection "Edit skin".